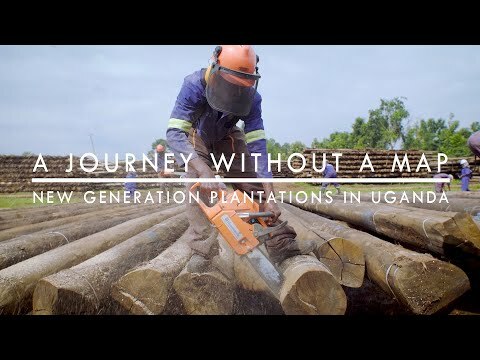 Uganda is one of the most fertile places in the world, and its growing economy is fueling demand for forest products.In 1990, approximately 30 per cent of Uganda was covered with forests, but by 2015 this figure had fallen to 10 per cent. The major drivers of this deforestation include a booming population – growing at a rate of 3.2 per cent annually – expanding farmland, unregulated charcoal production and rapid urbanization. On this NGP study tour, co-hosted by the New Forests Company and WWF-Uganda, participants from around the world are travelling to the regions of Mityana and Bugiri, to discuss how the plantation forestry industry, civil society and national governments can work together to drive sustainable economic development. Participants hear about, and see for themselves in the field, some innovative solutions adopted by one of Africa’s leading greenfield forestry companies. This study tour takes NGP into new territory… literally. While we’ve paid several visits to South Africa over the last decade, this is the first time we’ve ventured deeper into the African continent. It’s not before time. The plantation industry in East Africa is in its infancy, but its potential is huge. Plantations can provide a route out of poverty for rural communities, contribute to moving fast-growing economies along a sustainable trajectory, take pressure off natural forests and restore ecosystems, and play a vital role in combating climate change. But there are also immense challenges, from attracting finance into a new, long-term and risky proposition, to dealing with complex land issues, social challenges and the logistical difficulties of operating in some of the world’s least developed nations. These are some of the issues we’ll be exploring in the week ahead. The New Forests Company, one of East Africa’s few private plantation (or “greenfield forestry”) companies, will be sharing their experiences – and guests from Uganda, other parts of Africa and as far away as China and Chile will be bringing their own perspectives. Before we get out into the field, a day of presentations and discussions in Kampala sets the scene. And we start with an encouraging achievement: the official launch of the National Forest Stewardship Standard for Uganda. 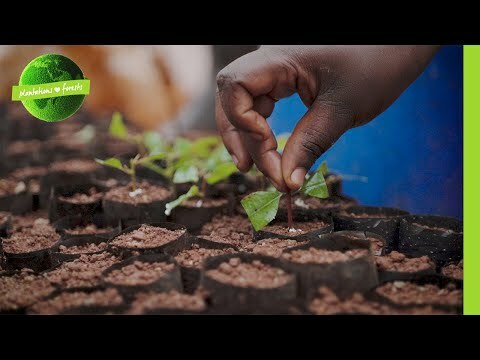 It’s the result of a 10-year bottom-up process to translate the principles of the Forest Stewardship Council (FSC) into procedures and indicators that will work in the Ugandan context. And it will provide a yardstick for forest management in the country for certified and uncertified forests alike. We’re privileged to have both Kim Carstensen, Director General of FSC, and the Honourable Sam Cheptoris, Minister for Water and Environment, in attendance. Forest cover in Uganda, the Minister acknowledges, is declining at an alarming rate. Before 1950, around half the country was forested. By the 1990s, this had fallen to a quarter. Now, it’s less than 10%, and still falling – even as the remaining forests suffer degradation, and trees outside forests are cut down too. Illegal logging and clearing for agriculture add to the problem, but the main cause is the use of charcoal for fuel. With Uganda adding a million babies to its population every year, current practices simply can’t continue. New plantations have to be part of the answer, along with sustainable management of Uganda’s existing forests – and the new FSC standard can help to guide that. But it’s vital that it doesn’t just gather dust on a shelf: “Uganda produces the best documents – but other countries implement them,” the Minister observes wryly. Over the next few days, we’ll be looking at how we can turn good principles into good practice – and turn greenfield plantations from a good idea into a working solution. “I stand here a very happy person,” says William. A pastor and the chairman of his community organization, today he’s happy to sing the praises of the New Forests Company (NFC). But it wasn’t ever thus. A few years ago, he says, he couldn’t stand to be in the same place as someone from the company. He was among the 901 households who were removed from land which is now home to NFC’s plantations at Namwasa. To be clear, this was not a black-and-white case of land grabbing. The area was a government forest reserve which people had encroached upon illegally. The government, not the company, was responsible for removing them, and NFC acquired the land legally. Since the plantations have been established, the natural forest within the reserve has been making a comeback, along with the biodiversity it supports. Nevertheless, here were families who had lost homes and land for grazing and growing food – and a young company with a massive reputational issue to deal with. They might have had a legal right to operate, but the social licence was harder to come by. Through a long mediation process, the company agreed to provide the affected communities with a large development grant (they stress it’s not compensation). Half of this went into providing affected families with at least an acre of land and a plot to build a house. The other half went to fund community projects. According to William, his community now looks upon the company as family – as do the people of the other villages neighbouring the site. We’re certainly given a warm welcome, with music and dancing and grilled goat for lunch, with a couple of hundred men, women and children in attendance. We have a chance to talk candidly to them – and while it’s apparent that people believe NFC’s presence has been good for them, there are frustrations as well. A women’s group were given 12 pigs to rear, which soon multiplied – but then feeding them became an issue, and the breed they were given fetched too low a price on the local market. Local men found work with the contractors who manage the plantations – but were aggrieved at stagnant wages and not being paid on time. In the afternoon, we visit the nearby Forest High School, set up in 2008 by NFC and PEAS Uganda, an NGO. It’s the only secondary school within 80km, and provides an education for nearly 600 students, with a near 50:50 gender split. The school choir greets us with a tremendous performance. The school is undeniably a good thing – but it also illustrates the limitations of traditional models of corporate philanthropy or corporate social responsibility (CSR). The buildings are starting to look shabby, the school has only seven working computers, and there are precious few books in the Tracy Emin Library. But there’s only so much a company (or a controversial British artist) can provide. Where do you draw the line? And how do you avoid the risk of communities becoming dependent on the company to solve all their problems? The contribution that NFC has made to these communities shouldn’t be underestimated, and the level of trust and goodwill that’s developed in a short time is remarkable. But there’s an awareness of the need to move from CSR to CSV – creating shared value. That’s what we’ll be looking at during the next two days. When plantation companies invest in a region, it opens up opportunities for small-scale farmers to grow trees to supply the same markets – whether that’s a pulp mill or, in the case of NFC, electricity poles. In the jargon, these independent tree farmers are known as outgrowers. This morning we visit some outgrowers supported by NFC. Inside a neat plot of three-year-old eucalypts, we divide into groups and have a couple of hours to talk with the growers. The people we talk to are happy about the opportunity. They see it as a potentially lucrative source of income, say that it’s enhanced their standing in society, and are grateful to NFC for supplying them with seedlings and initial training. It’s clear, though, that there are challenges, and that things could be improved significantly. Growing eucalyptus trees can be profitable – a quick back-of-envelope calculation suggests farmers can earn at least twice as much from their trees as they would growing maize on the same land. But only if they can afford to wait long enough. One grower complains that the price he got for his trees was far too low: he sold some of his at seven years old for around a dollar each. If he’d waited another five years, when they’d be suitable for high-grade electricity poles rather than cheap fencing, he could have fetched 30 times that price. Part of the problem is that some farmers simply can’t wait 12 years to cash in – they have families to support, school fees to pay. Also, many are unaware of the market prices they should be getting, which leaves them vulnerable to middlemen convincing them to sell below market rates. But these aren’t insurmountable problems. NFC has just appointed a full-time community development officer to work with growers in this area, who should be able to provide the outgrowers with better support and information on both silviculture and markets. There’s also clearly a role for the growers to work together much more closely through an association or cooperative (NFC and the Uganda Timber Growers Association, also in attendance on this study tour, could help set this up). Working as a collective could give them increased bargaining power, improve sharing of knowledge and information, and give them greater financial flexibility –whether by providing credit to members in short-term difficulty, accessing loans from microfinance institutions (using their trees as collateral), or entering into a contractual agreement with a buyer like NFC that provides some payments in advance. Finance isn’t just an issue for small-scale growers. Our afternoon session is a group discussion on the challenges of attracting finance into plantations in Africa, and some of the vehicles that have been set up to address this. Representatives from several relevant finance initiatives have joined us on this study tour. They include Trillion Trees, a collaboration between WWF, BirdLife International and the Wildlife Conservation Society that aims to leverage funding for forest conservation and landscape restoration projects; the Land Degradation Neutrality Fund, which is aiming to raise US$300 million in public and private finance to rehabilitate degraded land; Tree Fund, which is being developed by The Nature Conservancy to channel investment into planting trees in the right places across Africa; and Criterion Africa Partners, a private equity firm that invests across the forestry sector value chain in sub-Saharan Africa. These represent a wide range of potential finance sources – from commercial investors expecting high returns, to private impact investors and public sector development banks looking to balance financial returns with social and economic ones, to grants. It is, of course, far too big a topic to cover in an afternoon, but there’s a general agreement on the need for more partnerships – between public and private sectors, NGOs and communities – that can attract a blend of different types of investment. The other phrase that repeatedly crops up is “patient capital” – from investors who don’t expect short-term profits, but are willing to wait for greater long-term results. Much like successful outgrowers really. On Tuesday, we looked at the impact and the drawbacks of traditional CSR. Today, we’ve come to NFC’s Kirinya plantation to see their new CSV model, Forests for Prosperity. Kirinya is a 3,500-hectare area, planted with a mixture of pine and eucalyptus and including around 800 hectares set aside for conservation, mainly wetlands that feed into Lake Victoria. The social landscape here is simpler than at Namwasa. The whole plantation is privately owned land that’s belonged for many years to a sugar estate, which NFC has taken on a long-term lease. NFC has brought jobs into the area, and made several community investments in schools and a health clinic. But what else should they do? They’re not there to provide grants or loans – but they can buy services of value to the company. Within those parameters, the company and communities together designed the Forests for Prosperity model. In a nutshell, the communities now provide the company with risk mitigation services, and are paid for the results they achieve. Every year, community associations in representing each of the four neighbouring parishes receive a performance payment based on how successful they’ve been in preventing risks like fire, timber theft, grazing and cultivation within the plantations, and hunting of wild animals. The community invests these payments into local business development like capital for their newly established revolving loan funds. NFC has worked with Opportunity Bank to provide microfinance services, offering preferential rates on loans and training in financial literacy. Essentially, it’s about supporting the communities to move from dependency to agency. So how’s it working? Judging by the incredible reception we receive, the speeches from community spokespeople and the conversations we have, it’s working extremely well. One community tells how they invested the 4 million Ugandan shillings they received in the first year into fish farming, and are expecting their fish harvest this year to reach 10-12 million. Another spent their first payment on setting up an office and put the rest into their village savings and loans association. Women have taken out loans to start up businesses like selling fruit and vegetables; some of the men are now getting better incomes from fishing and selling maize to wholesalers. They’ve been paying back their loans at 4% interest, so funds keep increasing. It’s apparent that the communities take great pride in their work. In prior discussions, some of us had wondered if the variable payments could create resentment between the different communities – but in fact they enjoy the competition, and there’s a determination to do better each year. They now have a stake in the success of the business, and a sense of ownership – it’s telling that they refer to “our trees”. It’s interesting, too, when we ask how they feel about the Forests for Prosperity model compared to what came before. They say they prefer this model that gives them the ability to earn money and gives them greater control – but they’re pleased they got the clinics and schools first. Of course, they’d still like the payments they receive to be higher – these are growing communities (there are so many small children) who still live in poverty. The money is never going to be enough. But there’s a palpable goodwill, energy, purpose and sense of belief that forests really can be a route to prosperity. The venue for our final reflection session is the Nile Resort Hotel in Jinja, just a few miles away from the source of the River Nile. The search for the source of the Nile obsessed European explorers for hundreds of years. It was finally “discovered” in the late 19th century – though of course it had always been there. This week has been a journey of exploration. Along the way, we’ve been asking questions – and perhaps we already have the answers amongst us. Over the week, we’ve been asking an overarching question: how can we use responsible plantation forestry as an engine for sustainable development at scale in Africa? Underlying that, we’ve been looking at the barriers to establishing plantations in this region, the financing solutions needed to scale it up and how plantation companies can work with communities to create shared value, along with issues around macroeconomic development and combatting illegal logging. Today we’re tackling these questions through a social learning technique that’s familiar to anyone who’s attended an NGP study tour in the past: the World Café. Five tables are set up around the room, each dedicated to a different question. A “host” facilitates the conversation and takes notes, while “guests” move around from table to table, joining in the talk and building on the ideas that others have put forward. At the end of the session, the hosts present the top three ideas that have emerged from the café table talk. We’ll be publishing a summary of these here in the next couple of weeks, but a few key points stand out. Firstly, the case for plantation forestry at scale is a compelling one. Africa is already facing a timber deficit, and its remaining forests are becoming increasingly degraded. Planting trees is essential to tackling climate change, and the most cost-effective technology we have for taking carbon out of the atmosphere. And, as we saw so vividly yesterday, plantations can give people living in poverty the hope of a better future. Secondly, though, it’s clear that there are huge challenges to establishing plantations in this part of the world – from the difficulties of attracting the upfront capital needed, to finding suitable land, to meeting the expectations of local people, to operating in areas lacking in education, technical skills and infrastructure. Thirdly, and encouragingly, a diverse range of people are working to overcome these challenges – from businesses like the New Forests Company, to NGOs, to local civil society organizations, to investors. This study tour has brought many of them together, and there’s been a lot of fruitful discussions, networking and inspiration. We might not yet have discovered all the answers – but we’re getting that bit closer.